The two weeks of holidays are nearly at an end, does that make you happy or sad? A bit of both for me, I’m exhausted but I love the happy, no need to rush time of holidays too. The thought of lunch boxes though fills me with dread, so tedious! How about you? My girls are in the “Anti-Sandwiches Brigade” which makes it even more so. I don’t blame Miss E for not liking her sandwiches, I’ve yet to find a decent gluten free bread that isn’t full of sugar, that’s reasonably priced and easily accessible, …that she will eat! Would love to know if you have any recommendations. So, anyway, while the girls have been amusing themselves I’ve been thinking up lunch box ideas and trying out some on the kids. I’ve got some ideas for smaller people moving through to those with bigger appetites further down. First up…..
On the left we have crudities (ok, veggie sticks) for “Sip & Crunch”, to the right seasonal fruit, in this case berries, and a Sweet Potato & Five Spice Muffin for recess and in the middle a hard boiled egg, a mini cheese wheel and introducing the “Banana Roll”. I just sliced up some Mountain Bread cut a big banana into 3, put some honey onto the mountain bread so that it was sticky and wrapped the mountain bread strips around the banana and voila! It could also double as a breakfast on the run or after school snack. Last week I was questioning whether putting skewers in the lunch box was a good idea or not but I’ve decided to go for it, everything tastes better off a stick doesn’t it? (just cut off the pointy bits!). Here we have a “Ham & Salad Sourdough Baguette”, left over bread stick with ham & salad cut into bite sized pieces skewered. If I served this up to my girls as a sandwich they would A. refuse to eat it, B. just eat the bread and maybe the cucumber or C. pull it all apart anyway before eating it. When I skewered it they ate the whole lot as they thought it was fun to play with their food without getting in trouble! What are they you say? “Gluten Free but they don’ t have to be Bacon, Cheese & Spinach Scones”. You could make them without the spinach if your kids refuse to eat green. Both girls gave these the thumbs up, I really liked them, GT suggested horseradish and smoked salmon to go with them as he lives in some fantasy world (but he’s probably right that would taste good) and they are quite filling too. Jump over here for the recipe. Speedy chicken fried rice is a winner on many levels I think, it doesn’t take long to make for dinner and then the left overs are great in a lunch box. Minimal effort, maximum output! You may also like the cucumber baguettes I talked about last week or the DIY sushi I did last holidays. I came across this website which may be helpful for the gluten intolerant it’s called …..Gluten Free for Lunch Boxes, how about that? 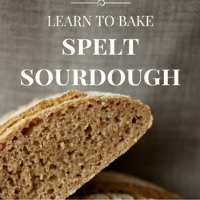 Looks like some good recipes and is also useful for ideas if yours don’t like sandwiches either. Are you looking forward to school going back? Do you have any lunch box ideas to share? can I pay you to make my lunches?! These all look amazing!!! I’m loving the sandwiches on a stick! Yum! Ha! Thanks Marns. The sandwiches on a stick are a bit of a hit with the girls but most days they just want plain old vegemite wraps! Thanks Jo. I think I do it to amuse myself and to break the tedium of it! Pinterest is great for inspiration too! This is great. My daughter isn’t a sandwich sort of girl so I will be trying this out. I love the sourdough on a stick! Ha! I was a bit worried about the sticks being used as weapons and being called into the principals office myself for supplying contraband but the girls love them. I’m going to use these ideas for MY recess and lunch! I just need to find a cool lunchbox. Thanks so much for the shout out and kind words! What a lovely blog, and great lunchbox ideas to boot! My pleasure, I’m off to check yours out now too! … If anyone’s worried about using skewers, just use popsicle sticks instead. Available in most supermarkets.